Thiossane (pronounced cha- sahn) was formed with the express purpose of bringing authentic West African cultural representation to a variety of local, national, and international communities. Thiossane introduces the richness of West African culture through dance and music to create a space of learning and growth in traditional African culture. Our purpose is to introduce, increase, and enhance cultural awareness to better understand and appreciate the richness of the African Diaspora. Our mission is to preserve and present traditional West African dance, music and culture by providing authentic performances and detailed instruction; to perpetuate its significance to future generations; and to create a lifestyle of physical and mental wellness. Our senior and junior companies are available for professional presentations, lectures and demonstrations, dance and drum workshops, educational programming, community collaborations, and university enrichment and consulting. Abdou Kounta, a master drummer, international instructor, and renowned musician of traditional West African music, has mastered the djembe (jim bay) drum during his ten-year reign with the National Ballet du Senegal in West Africa. The ballet traveled extensively throughout the world as ambassadors of the arts, under the Presidency of Leopold Senghor. Upon arrival in the United States, Mr. Kounta and Mr. Assane Konte’ founded and directed the nationally known Kankouran West African Dance Company in Washington, D.C.
Mr. Kounta retired from the company in 1992 and relocated to Columbus, Ohio where he continued his art form teaching in arenas at community venues, schools, several state universities, state institutions, museums and various conferences. Mr. Kounta has given instruction to and made cameo performances in the Phoenix Symphony Orchestra, Arizona State University, the Winston-Salem Symphony Orchestra, the Maimouna Keita School of African Dance, and the Kankouran West African Dance Company. He has also appeared in Woodstock, NY, Tokyo, Japan, and Negril, Jamaica. 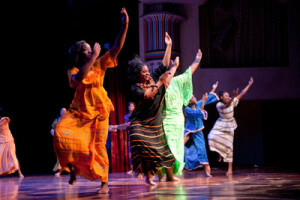 Mr. Kounta has also successfully instructed the YWCA African Beginnings Dance Program during seven annual concerts. Suzan Bradford Kounta, dancer, instructor, and choreographer of traditional West African dance, began her dance training in Columbus, Ohio at an early age. Bradford Kounta was Director of Youth Services at the YWCA for fifteen years. While there, Mrs. Bradford Kounta developed and implement programs for youth to promote social and personal development through African dance and music. Youth were immersed in techniques, rhythms, and language in addition to attending culturally based, educational, and engaging conferences. Along with programming, Bradford Kounta choreographed, directed, and produced annual concerts with the YWCA Ensemble. Mrs. Bradford Kounta offers instruction at community centers, state universities and institutions, treatment programs, public and private schools, conferences and local venues. Mrs. Bradford Kounta developed and implemented staff training for Columbus City Schools on Intergrating the Arts in the Classroom and has completed training through the Greater Columbus Arts Council on incorporating the academic standards in its school based arts programs. Bradford Kounta’s annual travels to West Africa keep her abreast of the latest dance styles and its incorporation into traditional techniques and appropriateness of its influences. Bradford Kounta was an Adjunct faculty member at Antioch College and The Ohio State University, and guest artist and instructor at Denison University. 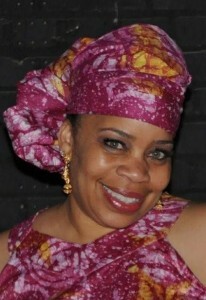 She serves as board member of Ohio Dance, Ft. Hayes Advisory Board, and the Near Eastside Roundtable. Bradford Kounta is the first General Manager of the newly renovated, historic Lincoln Theatre and oversees all programming and theatre operations. She co-founded and lead Thiossane since its inception in 2000 with her beloved husband, Abdou Kounta. 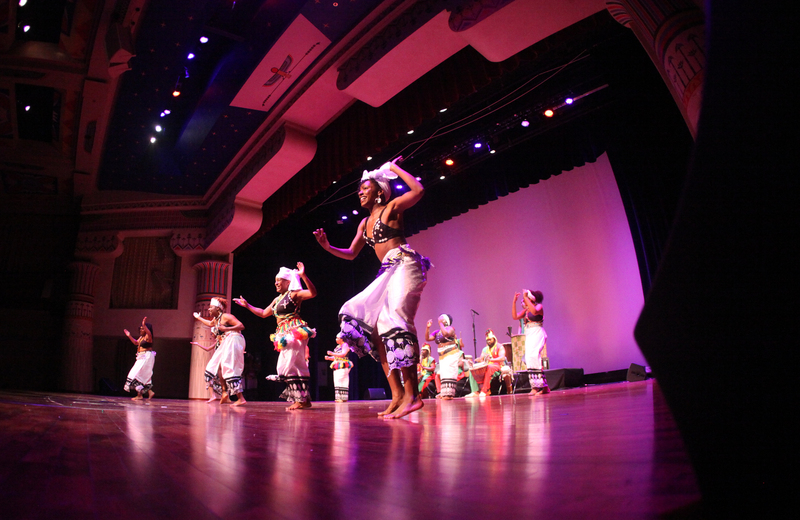 The company thrives on being Columbus’ premier traditional West African Dance Company that provides authentic performances and detailed instruction to all ages and all people. The company recently celebrated 15 years of presenting and preserving traditional dance, music and culture with its debut production of Allandar; The Epic of Sundiata. The junior company is designated for students in grades 3-12 to introduce, increase and enhance cultural awareness through traditional African dance and music. This program has proven to spark an interest in continued dance and music studies, which helps build the student’s self-esteem, confidence, coordination, discipline, and social and life skills. The Thiossane Institute caters to the overall development of young people into productive, well-rounded, respectable individuals. The participants of this program are introduced to the art form of traditional African dance and drum. The program operates on the basis of traditional African values and morals that encourage academic success and social balance. The youth are given information that connects them with both the richness of African Diasporic culture and its significance to their daily lives. The youth who are engaged are able to refine self-discipline through repetition, which impacts their academic development and personal behaviors. The participants adhere to the expectations and practice core values that translate into success throughout their lives. The junior company has graduated several students who study with local companies, participate in local performances and productions, and nationally recognized university dance troupes and musical groups. However, our greatest accomplishment is that all our of participants graduate high school and pursue, attend and graduate college. The members are invited into the company through the training program where they are immersed in the traditions of the African culture. Members adhere to set of values that govern the company and their daily lives (Appropriateness, Respect, Knowledge, Excellence, Adaptability, and Restraint). The company is available for performance, lecture demonstrations, workshops, and classes. Members of the 12 year company are comprised of pre-professional and professional performers whose passion for dance and culture serves as a catalyst in implementing the mission of Thiossane Institute. Members are dedicated to the study and authenticity of their respective art form. Our performances are full-scaled presentations complete with authentic attire, original songs and dedicated musicians. The presentation begins with a drum call and explanation of the dances and their origins through narration and print. Our artistic outreach entities include dance workshops with instruction of basic movement and introduction of dance origins. Both provide an opportunity for participants to understand the language of the music as it relates to the movements. 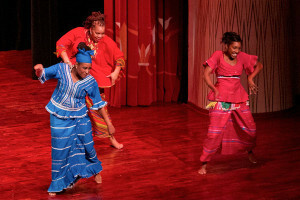 Lectures and demonstrations enlighten the audiences on the historical significance of African dance and drum, particularly those of West Africa. The presentations are flexible to allow for Q&A following 60 – 90 minute programs.